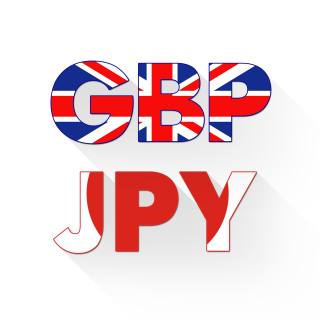 The GBP/JPY got a boost on combining factors including better prospects for Brexit. The Bank of England Governor Carney is slated to speak at 19:00 GMT. The British pound saw a fresh wave of buying in the London session as the geopolitical turmoil is momentarily taking a breather and the UK's Brexit Secretary David Davis made some encouraging comments about the Brexit. He said that the odds of a “no deal” are very small and he is not foreseeing that the EU-UK divorce will lead to the financial services migrating out of the UK. The yen is a safe-haven in times of uncertainties. Trump is dialing down his rhetoric as he recently tweeted: "never said when an attack on Syria would take place. Could be very soon or not so soon at all!" Which saw the yen and gold, both safe-haven assets lose value. On Wednesday, President Trump warned Russia to “get ready” as he was planning an airstrike on Syria. Weakness of Japanese Yen is underlined by ever dovish comments from the Bank of Japan (BoJ) Governor Kuroda. Kuroda said earlier on Thursday that “the BoJ will maintain QQE (Quantitative and Qualitative Monetary Easing) with yield curve control for as long as needed to achieve 2% inflation in stable manner” which comes in-line with current monetary policy guidelines and is not as much as a surprise for the market, however enough to keep the yen from rising in the current environment. Coming up next in the UK is the Bank of England Governor Mark Carney speech in Toronto, who is scheduled to deliver closing remarks at the Public Policy Forum's Canada growth summit.